I was watching a video from Simon Rogers the other day about data journalism and how he got started. During his TEDx talk he showed this bubble chart that he created on government spending in the UK. This reminded me that Tableau 8, the Kraken, now has the ability to create bubble charts. 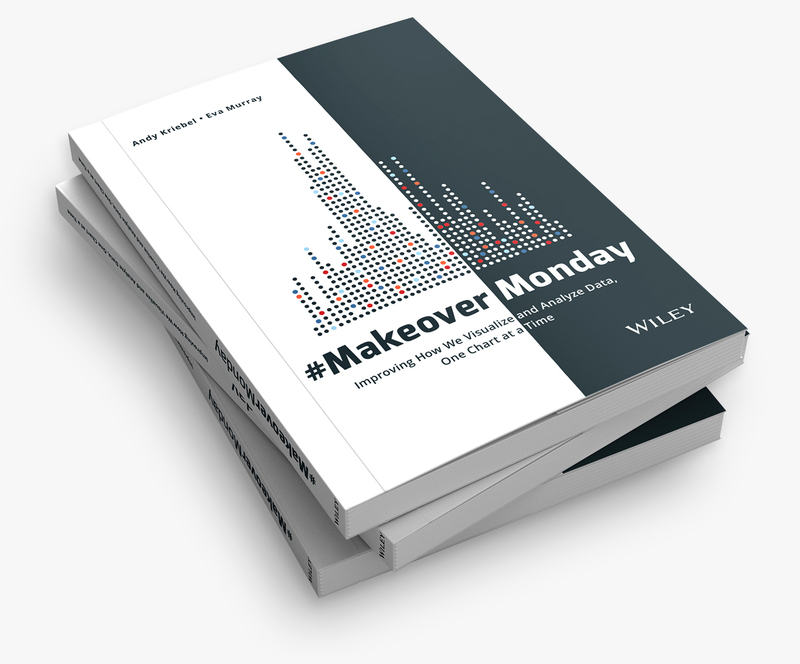 They’re not quite as sophisticated as what Simon created, they’re more like what you can build with ManyEyes, yet, like most of Tableau’s features, they’re unbelievably simple to build. 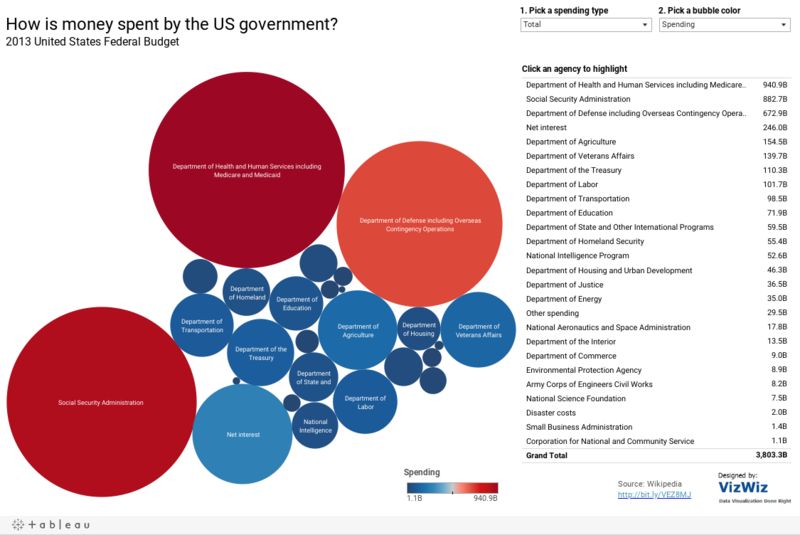 I downloaded data about US federal government spending in the 2013 budget from Wikipedia, connected to it with Tableau and within 3 clicks I had my bubble chart. This is pretty boring, so I placed Total on the color shelf and changed the color palette to red-blue diverging and reversed them. Is it perfect? No. Give it a whirl. Play around with the selectors. Notice how the sheet colors change from a measure to a dimension. Download the workbook and see if you can figure out how I did it. Click on a department in the table to highlight it’s bubble. Notice how the table sorts based on the spending type you pick. This makes finding the top few bubbles much easier. These new bubble charts are going to be pretty useful, though I can totally see them get wildly misused. 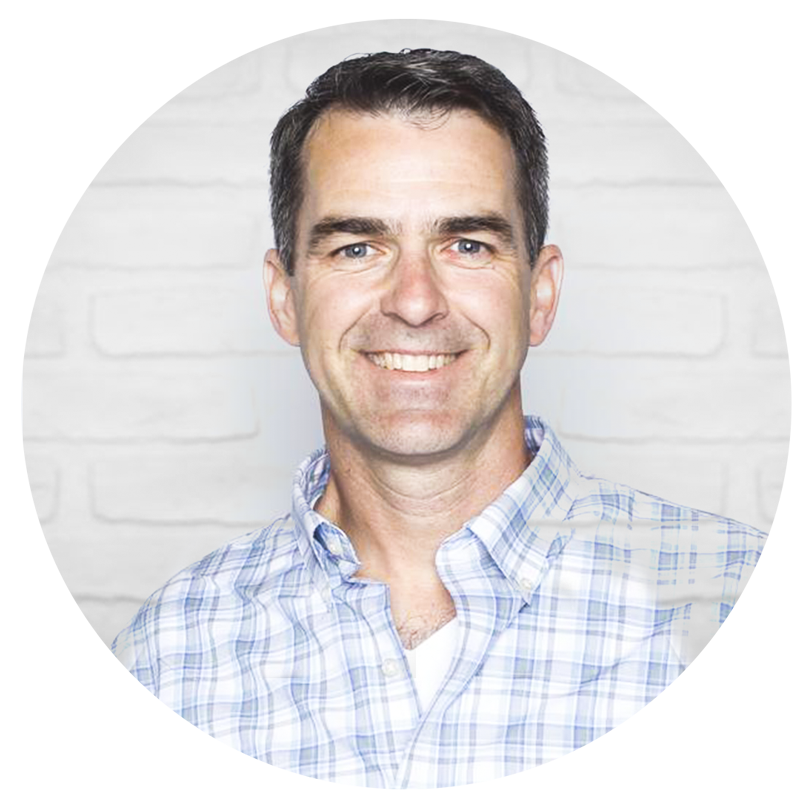 and replace red-blue diverging gradient with something more appealing. In fact you show 9 or 10 distinct circles in terms of surface/color.